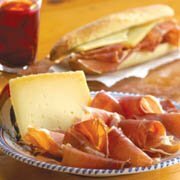 Spain is the largest producer of olive oil in the world. Andalucía accounts for about 75% of all of Spain's olive oil production. Within Andalucía, Jaen has the highest production of olive oil making as much as all of Italy combined. 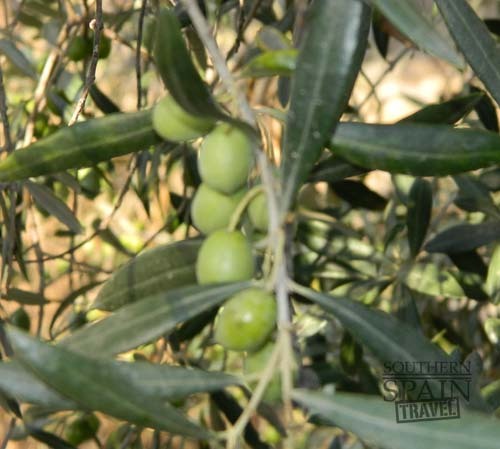 I highly recommend taking a tour of an olive farm in Southern Spain as they are highly informative and lots of fun. The use of olive oil is thought to date back as far as 6000 years but we can only say with certainty that the Greeks were the first to document its use. They too brought its usefulness to the forefront in society. If you trace back the use of olive oil in Greek and Roman society it held the same status and importance as petroleum does in modern western society. Olive oil was use in all aspects of everyday life. It was used to light lamps, to cook with, as medicine, as a base in perfumes; it was used to cleanse oneself and had many other functions. Olive oil and its uses were a discovery that advanced western society just like the discovery and use of petroleum has done in the 20th and 21st century. While not the first to use olive oil it was most likely imported by the Phoenicians, expanded under the Romans, and perfected under the Arabs. In modern history Spain has been known to produce bulk oil to export to Italy. However, more recently farmers are producing high quality oils exported and sold under their own names. There are 262 varieties of olives of which only around 24 are used to make olive oil. Of the 24 varieties the most commonly used for Spanish olive oil are the Arbequina, Cornicabra, Empeltre, Hojiblanca, Lechín, Picual, Picudo, and Verdial. Within the category of olive oils as stated by the USDA there are extra virgin olive oil, virgin olive oil, virgin olive oil not fit for human consumption, olive oil, and refined olive oil. It takes 4 to 5 kilos of olives to make just 1 liter of olive oil. Start to produce olives between five and 10 years old. The quantity that a tree produces does not decline until it reaches the young age of 150 years. The trees blossom in the spring with the olives first starting out as a green color and will eventually turn black if allowed to fully ripen. 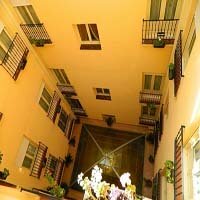 Takes place between late fall and early winter in southern Spain. Traditionally picked by hand most large producers of olive oil are now using machines that shake the trees and catch the falling olives. Hand picking is still a preferred method for many high end producers of olive as many believe that olives that fall to the ground get bruised and this changes the dynamics of the oil. After the picking the olives are rushed to the mills for crushing because if you wait too long the olives can ferment ruining the desired flavor. 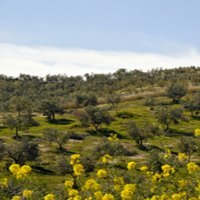 Each producer of olive oil has its own precise way of extracting the oil with major producers using modern techniques and smaller producers a more traditional method. The more traditional method is to wash the olives, remove the leaves, and crush the olives with a huge stone. This produces an olive paste that is then taken and spread across mats that are then stacked upon each other. Lastly they are put under intense pressure from a vise squeezing every ounce of oil from the paste. The oil is then filtered and ready for consumption. This method has been in use for hundreds if not thousands of year. For evidence of this there is an olive oil press in the Museo de artes y Costumbres Populares in Parque Maria Luisa in Seville. More modern technique for crushing the olives and separating the oil are in use today. One is called the hydraulic discontinuous press. Discontinuous because it is done in batches where the press is run by high pressured water. The resulting oil is sent to a centrifuge where the olive oil and water are separated. One very interesting fact about olive oil is the amount of fake extra virgin olive oil on the market today. 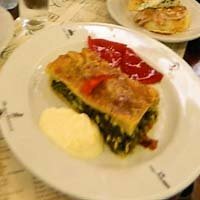 In the U.S. the USDA has set up standards for what makes up extra virgin olive oil, however, these standards are only voluntary with no enforcement. Unfortunately for Americans there is little guarantee extra virgin is extra virgin. European fair only slightly better as there are rules, regulations, and enforcement to ensure quality, but there is so much fraud involved it is little help. So what is one to do? I recommend buying locally if you can otherwise try several brands until you find one that you like. Good oil will be apparent, think of it like good wine. The first time I had a merlot I could not finish the bottle but now it is all I drink. A good extra virgin olive oil will be the same in that a good one will have strong with bold flavors. 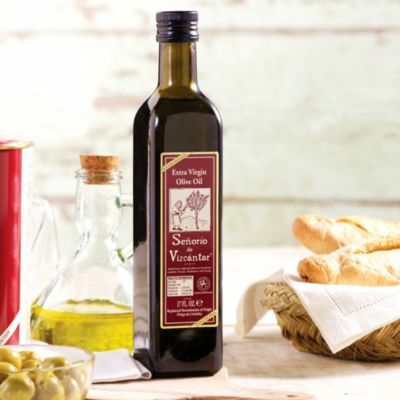 One of the best olive oils is Senorio de Vizcantar Special Selection Extra Virgin oil. Use it on salads or to dip bread into. 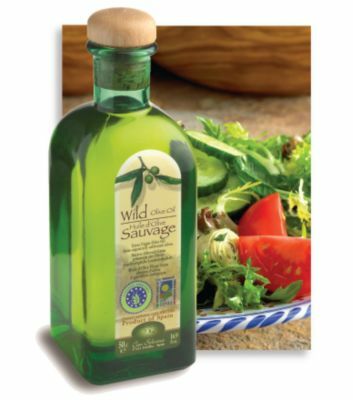 This bottle of Can Solivera Wild Extra Virgin Olive Oil is made from wild olives....and tastes fantastic.